Pretty sport-ish outfit. But to dress up, when you have a morning lecture? It's like a mission impossible. 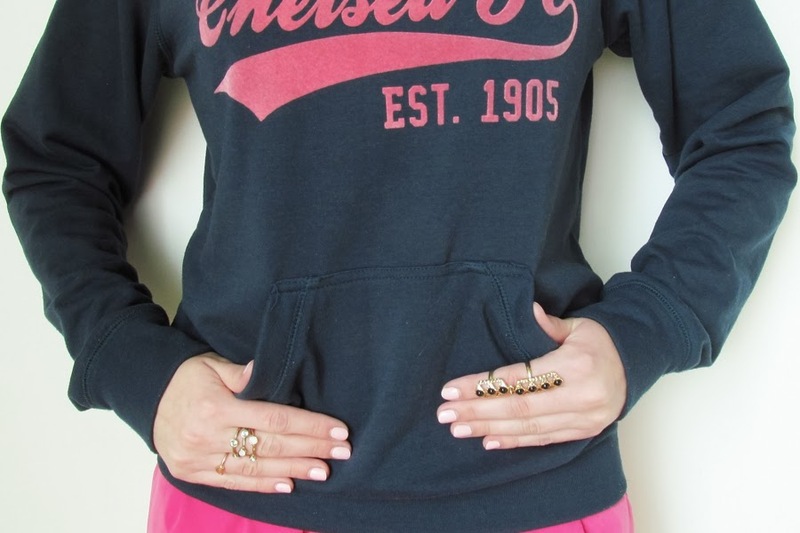 That's when this Chelsea FC hoodie comes to the rescue. 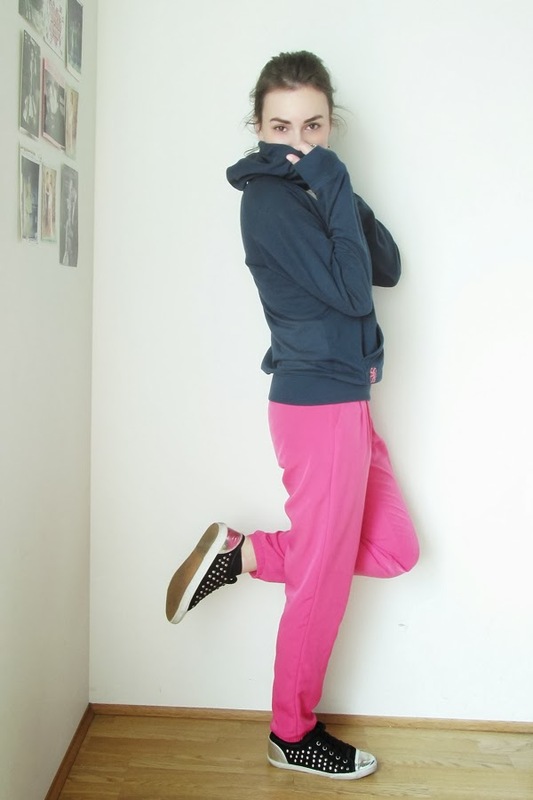 I, actually, really liked how pink-y formal joggers did match with the hoodie. Looks like a total set. And, yeah, the trainers perfectly complement the outfit. Love all of this look, the poses and photos, the casual clothes and sneakers; and you are absolutely beautiful with a fresh face and stunning smile.